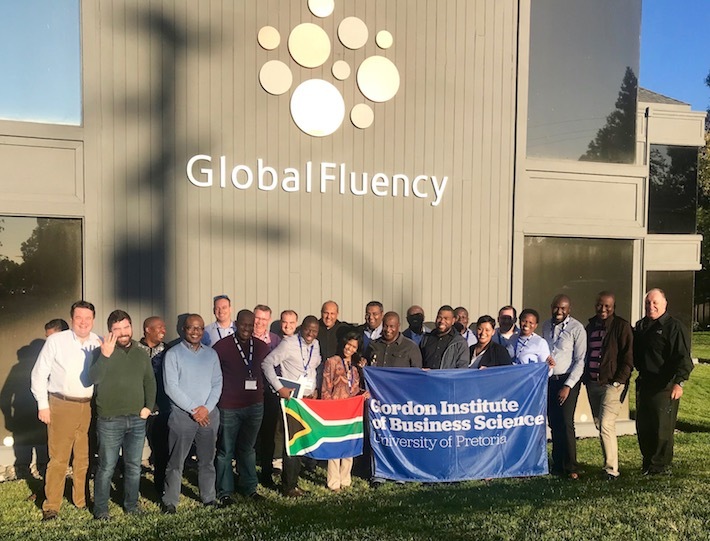 Next-generation of digital business leaders and change agents from South Africa visited GlobalFluency's offices in Silicon Valley for a lively roundtable discussion on "Growing Innovation in the Enterprise." Founders of exciting start-up disruptors, including Nautilus Data Technologies, Proof Analytics, Rain Neuromorphics, and DBM Cloud Systems, gave them excellent food for thought to help drive digital transformation and "intrapreneurship" in some of South Africa's largest corporates. Program hosted by the Business Performance Innovation (BPI) Network (www.bpinetwork.com) and the SABLE Accelerator (ww.sablenetwork.com).